Advanced rebalance emulsion. A patented combination of biomimetic peptides and Omega-3, that diminishes the signs of aging. A patented combination of biomimetic peptides and Omega-3, that diminishes the signs of aging. Tested under dermatological control. Oil in water emulsion. Apply NEXULTRA 2, each morning and evening, and massage lightly. It can be used as a make-up basis. A patented combination of biomimetic peptides and Omega-3, that helps to soothe and repair epidermal skin (ex vivo and clinically demonstrated). Free of perfume. Tested under dermatological control. Oil in water gelified emulsion – light texture. Apply NEXULTRA 1 each morning and evening, and massage lightly. It can be used as a make-up basis. For better results, apply a generous layer in the evening and allow it to absorb. Soothes, purifies, cleanses and removes make-up. 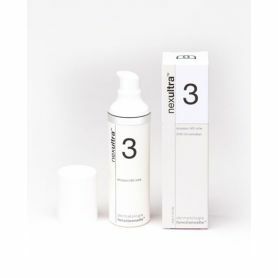 NEXULTRA TM O is a soothing and cleansing multi-purpose oil, a patented combination of biomimetic peptides, olive oil, plant extracts CO2 and Omega-3 that can clean and repair the skin. This new addition to the UniverskinTM range cleans and moisturizes your skin while soothing it. NEXULTRA TM O can be applied to the face, eyes, hair and scalp. olive oil (Olea Europea), acetyl tripeptide-1 (KollarenTM), Omega-3, rosemary leaf extract (Rosmarinus Officinalis). Omega 3 biotransformed in situ by camelina oil. Free of perfume & preservatives. Tested under dermatological control. Suitable for adults, children, pregnant & breastfeeding women. The NEXULTRA B BAUME is ideal to improve areas of damaged or inflamed skin. It has been clinically proven to reactivate the skin's natural cell reneal process to promote cell regeneration and healing. 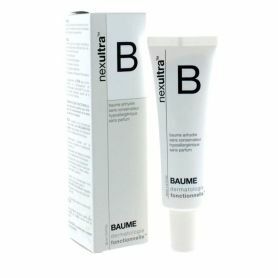 NEXULTRA B BAUME was first used in hospitals and has since been brought to the consumer market. It is recommended to be used immediately post procedure (such as Laser Fractional Resurfacing) as it promotes skin healing. 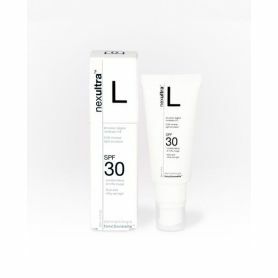 NEXULTRA B is a multifunctional sooth balm, a patented combination of biomimetic peptides and Omega-3, which helps to regenerate and repair the look of the superficial layers of the epidermis (demonstrated via ex vivo & in vivo clinical tests). It alleviates the inflammation, replenishes the skin’s moisture barrier. Apply NEXULTRA B on the damaged area and gently massage to facilitate penetration. 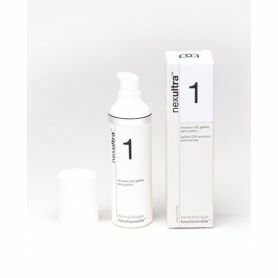 Reapply as often as necessary and as long as redness and irritation persists. A patented combination of biomimetic peptides and Omega-3, that diminishes the signs of aging. Tested under dermatological control. Oil in water emulsion. 100% mineral, SPF 30. DAY CREAM. 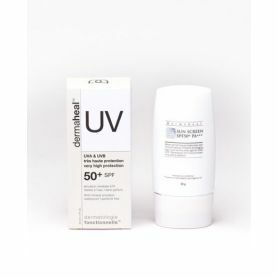 Light day cream 100% mineral, SPF 30. Day cream reinvented. Nexultra ™ L is a multi-purpose mineral cream, a patented combination of biomimetic peptides and Omega-3s. It contains all the necessary virtues of a cream of day since it rebalances and hydrates the skin. 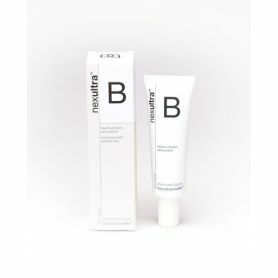 Light and invisible on the skin, the complete mineral filter it contains helps protect the skin from the harmful effects of light, free radicals, pollution and aggressions of urban life. It thus preserves the youth, the luminosity and the uniform tone of the skin. Thanks to its light texture and easily absorbable formula, this day cream treats and protects your skin and is suitable for all skin types. To applydaily in the morning on the face and / or the neck while massaging slightly. It can replace your daily care or be applied after your day serum or as a makeup base. NEXULTRA 3 has a patented combination of biomimetic peptides and Omega-3, that helps to restore the skin’s natural defenses and skin barrier. Tested under dermatological control. Oil in water emulsion – rich texture. Apply NEXULTRA 3, each morning and evening, and then massage lightly. It can be used as a make-up basis. The nexultra™ skincare can be used alone or in combination, to calm the appearance of the skin that has been damaged by intense superficial skin lesions of mechanical or environmental origin.All products are cosmetics with multi-purpose emulsions, a patented combination of biomimetic peptides and Omega-3. Tested under dermatological control. The cosmetic of tomorrow is fully customized and created by doctors. Each person is unique, each skin is unique, expectations are unique… Skincare should be unique. Universkin™ is a unique, science-based and physician-dispensed bespoke skincare. Universkin™ personalized skincare is used by dermatologists, plastic surgeons and aesthetic practitioners in 42 countries worldwide. A French pharmaceutical company. Universkin™ is a French pharmaceutical company, founded in 2006 and based in Sophia Antipolis, France. The founding and management team of Universkin™ is comprised of dermatologists, plastic surgeons, pharmacists, biologists, chemists, and anatomo-pathologists.